Recycling station signs numbered off. 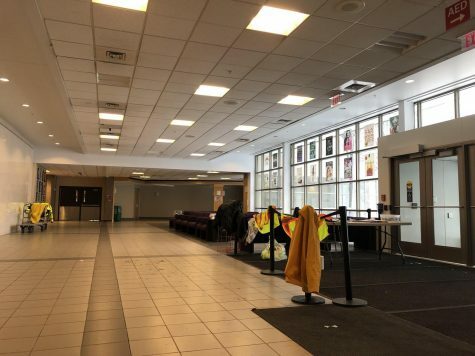 Volunteer jackets drying off inside the main entrance at Niles North. Cars waiting in line to drop off their recycled goods. 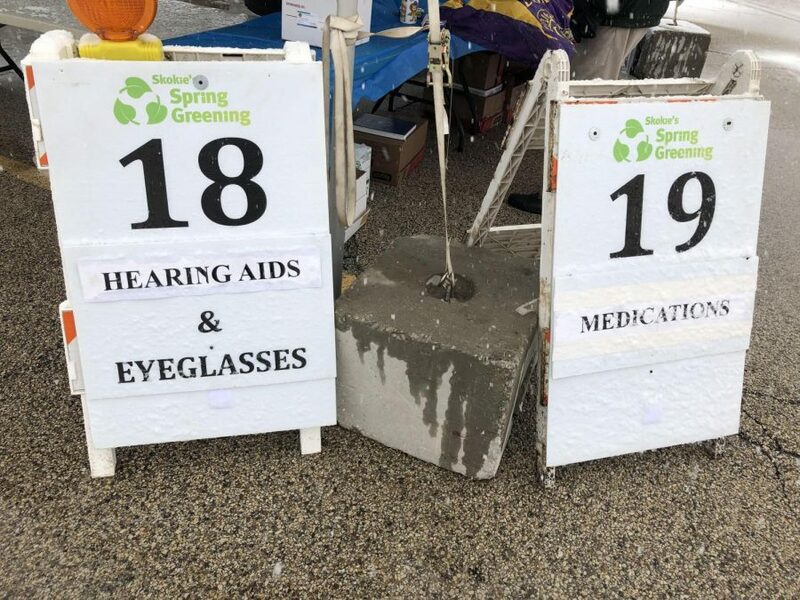 Snow flurries filled the streets April 14, but that didn’t stop community members from showing up to the annual Skokie Spring Greening. Although the weather was not as expected by many, the community recycling event still looks place outdoors at Niles North high school. Many members fought through poor conditions. Beginning a little bit earlier than scheduled, Golf Road filled up with anxious members of the community. Accepting items like cardboard, batteries, books, bicycles and even prom dresses, the outdoor stations were filling up quickly. Volunteers enjoyed their time volunteering despite the poor weather. Check-in volunteer Lynn Seebacher was upset by the unexpected weather. “I wish I didn’t have to volunteer,” Seebacher said. However, her fellow volunteer Crystal Haben wasn’t as surprised due to prior years. “It was the same weather last year so I kind of knew what to expect. Yeah, it was pretty, pretty bad weather last year also,” Haben said. Among the many helping out, one of those was the president and CEO of Oakton Investment Management John Terzis. He also took note of the difficulties the weather posed. Residents make sure to take advantage of this gathering next year, for it is one of the only ways to recycle items like the ones listed at no cost. 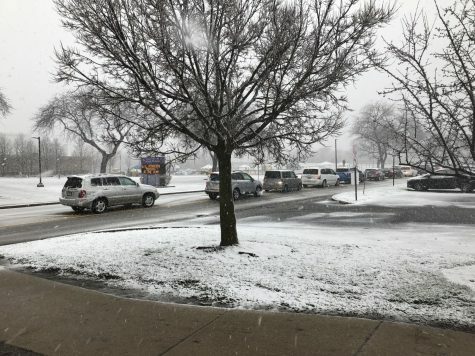 Despite the harsh, chilling and slippery weather, the Skokie community, along with many towns, came together to recycle what needed to be recycled.